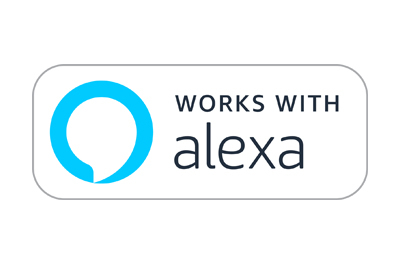 Danfoss has launched a free Smart Home Skill for the voice-activated Alexa system. The Skill is enabled via the App for the Danfoss LinkTM Central Controller or Danfoss TPOne-STM programmable room thermostat. Once a pairing code provided by the App has been entered into the Alexa system, homeowners can use voice commands to control the temperature in their house for optimum energy efficiency and comfort. High-speed networking technologies mean more and more household devices are connected to the internet in what’s been dubbed the ‘smart home’. Virtual assistants like Amazon’s Alexa are part of this exciting trend, says Gareth Ash, Danfoss Marketing and Technical Support Manager: “Being able to use simple voice commands to control the temperature of your home takes Danfoss Smart Home Heating Solutions to new levels of ease and convenience – and will also help consumers keep their homes comfortably and affordably warm.” They can ask Alexa questions such as what is the current temperature in my bedroom, or use an Alexa-enabled command to increase or decrease the temperature in the living room, for example. “As well as the user benefits, the ability to connect the latest Danfoss heating controls with this popular voice-recognition technology will also be a great selling point for installers,” says Gareth Ash. Danfoss is at the forefront of the smart home heating revolution – and the latest energy efficiency regulations – with products like the recently launched Danfoss Link™ and TPOne-S™. These advanced heating controls give homeowners the ability to control their heating, and reduce energy use, whether at home or away. The new Danfoss Link™ central controller provides wireless control of the heating system by linking all the elements of a home’s heating controls, including room sensors and Danfoss’ electronic TRVs. The system is easy to program using the central controller or the Danfoss Link App to personalise heating schedules. In addition to the end-user benefits, Danfoss has made installation both quick and easy with online information guides and videos. Installers can also download the latest software version for their customers using the WiFi link on the central controller. The TPOne-STM programmable room thermostat offers wireless internet connectivity to control home heating remotely via smartphone from anywhere at any time. The TPOne-STM Heating App allows users to adapt the thermostat’s pre-defined schedules and temperatures while on the move, saving money when away and improving comfort when returning home. TPOne-STM combines intelligent and practical functionality with an intuitive user interface and one-touch controls for exceptional ease of use and installation. As well as providing a smart and simple heating control for consumers, TPOne’s quick start-up wizard and separate installer menu with lock ensure fast, accurate installation with familiar wiring.